“Glass Piano” is a sublime collection of solo piano versions of Philip Glass by a master interpreter of the legendary minimalist composer. All formats have various tracklistings and will be released June 1st 2015 (and 2nd in the USA). 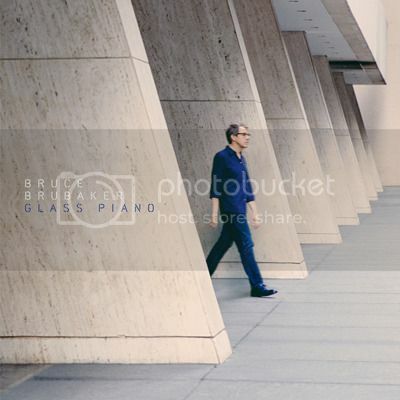 BRUCE BRUBAKER - &quot;GLASS PIANO&quot; - on June 1st 2015 (Europe) / 2nd (USA) from InFine Music on Vimeo. Francesco Tristano came back from Detroit in 2009 transcended by the studio equipments of Planet E. He sent us next to the tracks composed for "Idiosynkrasia", a remix of „Knee Play“ based on a piano piece written by Philip Glass and interpreted by Bruce Brubaker. From the start, we knew that we wanted to release this remix (and it will be soon ) but we could not imagine that we would release a full album of Brubaker`s Glass recordings in June 2015. Francesco introduced us to the works of his former teacher at Juillard School and to the man. Bruce cultivated an intense relationship with Glass’ compositions. Brubaker & Glass have met on many occasions to discuss the reworks, instilling a deep understanding for Brubaker of Glass’ innermost intentions and idiosyncrasies. “ I'm starting from notes written on paper by Philip. But music is a group activity, and a transaction. This music only exists as it does because it was written, then made into sound by me, and heard by listeners. The people hearing it complete the art.’” tells Bruce. During our discussion with Bruce, it became clear that he felt inspired to record them once again after revisiting these compositions. We invited him to come to our workshop in Poitiers. The recording took place in the new Theater and Auditorium of Poitiers (TAP). The microphones were purposefully placed close to the piano, so sounds can be heard during the recordings that are normally muted for an audience, the creaking of the chair for example. Glass Piano by Bruce Brubaker is presented in a beautiful double vinyl gatefold edition as well as a digipak CD. The vinyl edition also comes with two additional bonus tracks that aren’t included on the CD. The digital version is limited to 7 tracks. Glass Piano will be released on June 1st 2015 worldwide.